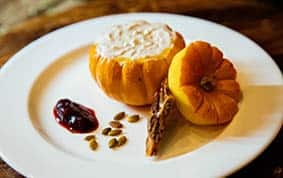 Cooler weather, beautiful colors, leaves changing, cozy sweaters and delicious food. 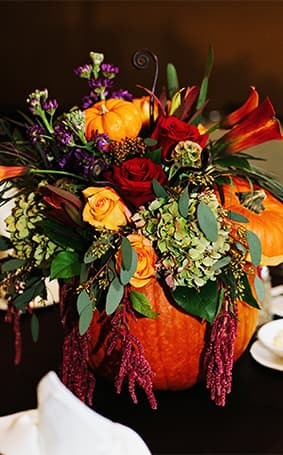 What's not to love about fall? 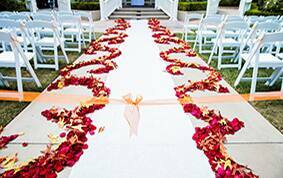 It's one of the most popular times to say I do and for very good reason. 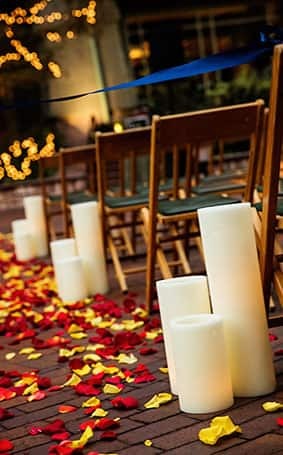 The weather makes it an ideal time for an outdoor wedding and a chance to take advantage of everything the season has to offer. 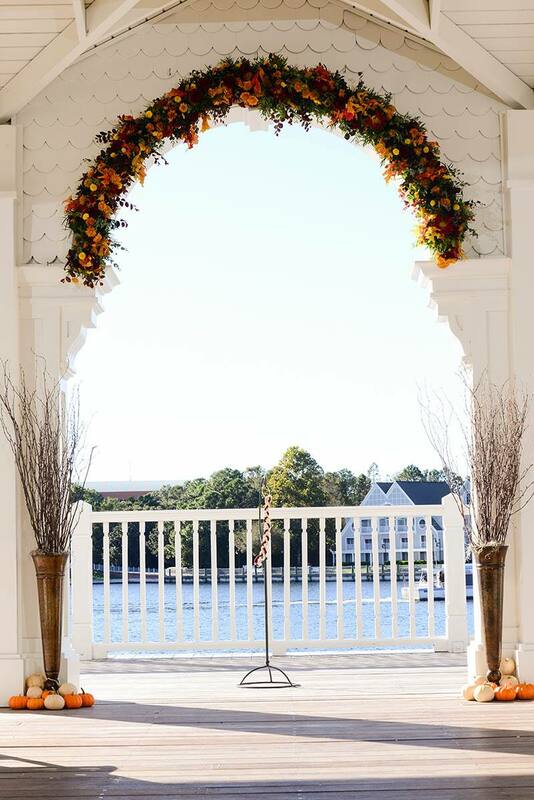 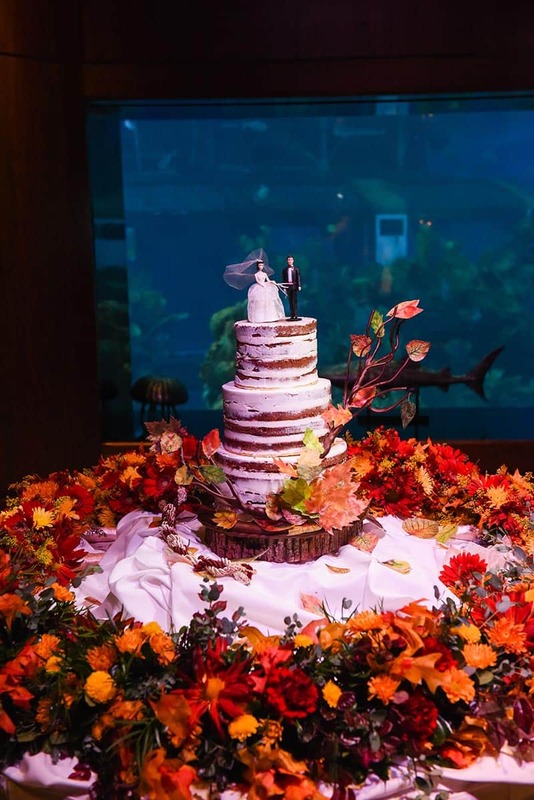 Speaking of, Brisa Courtyard at Disneyland and Sea Breeze Point at Walt Disney World both offer excellent views and settings for a fall themed celebration. 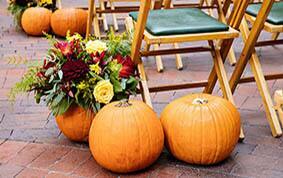 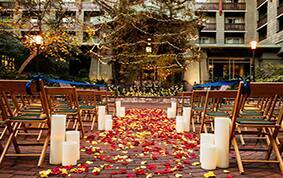 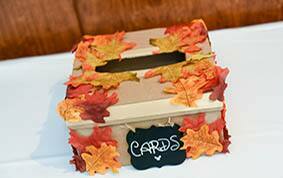 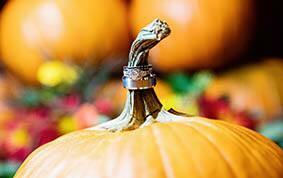 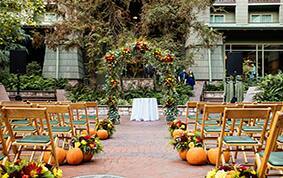 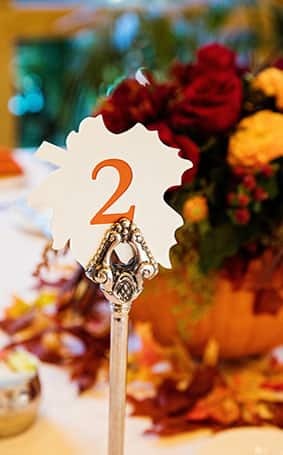 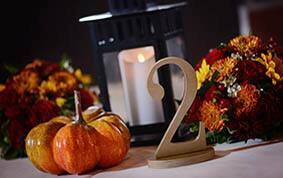 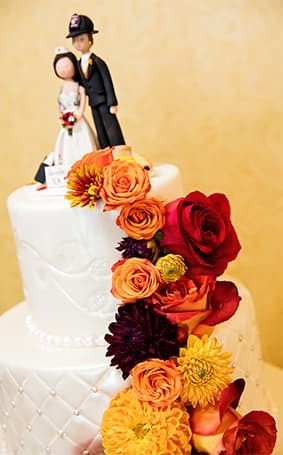 Pumpkins are a classic for this time of year and autumn leaves bring rich, warm colors to ceremonies or receptions. 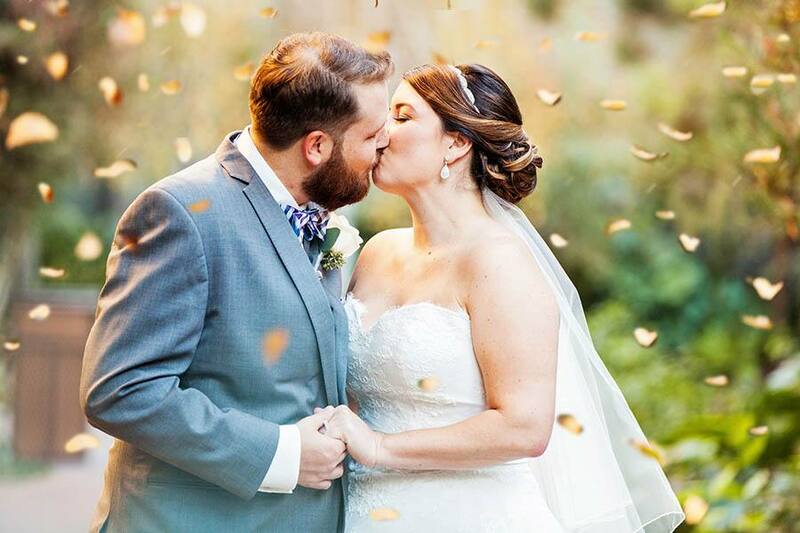 In honor of the most fabulous time of the year, I've rounded up some of my favorite fall wedding inspiration.